OTTAWA, Ont. 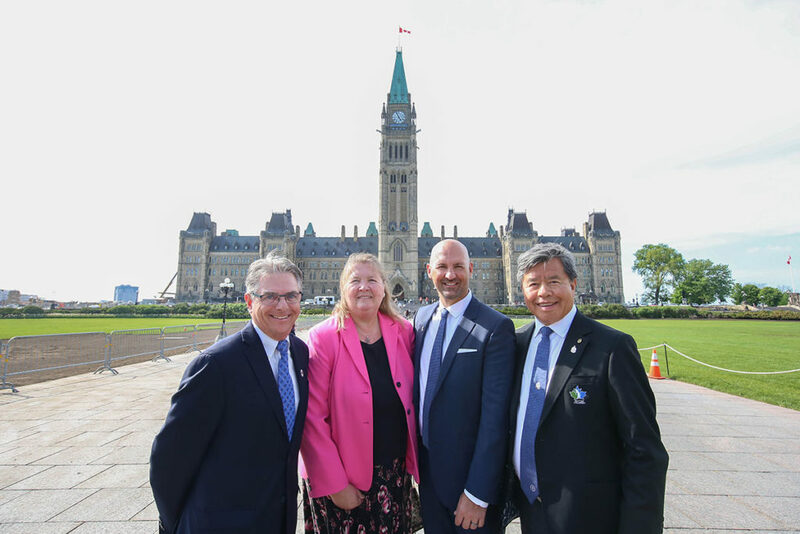 – On a day that was perfect to play golf, Canada’s golf industry was on Parliament Hill touting the benefits of the sport to nearly 70 members of parliament and a handful of Canada’s senators as well. It was the first year the National Allied Golf Associations (composed of Golf Canada, the PGA of Canada, the National Golf Course Owners Association, the Canadian Society of Club Managers, and the Canadian Golf Superintendents Association) decided to change their outward marketing approach to align with the American golf industry associations. 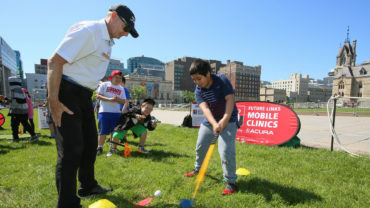 We Are Golf set up a junior golf clinic on Parliament Hill in concert with Golf in Schools, and welcomed nearly 100 students from Carson Grove Elementary School on Tuesday, many of whom had never played golf before. 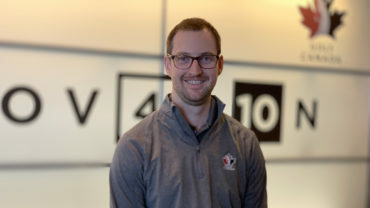 “What’s been amazing is that we’ve been able to get the word out about We Are Golf,” said Golf Canada CEO Laurence Applebaum, who has just recently celebrated one year at the helm of Golf Canada. 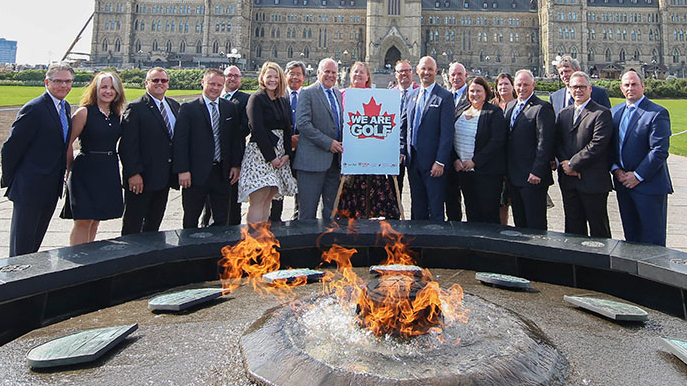 The objective of the day was to continue to grow awareness of golf in the country’s decision makers, as leaders from each of the respective organizations had a day chalk-full of meetings on Parliament Hill with MPs from across the country. Jeff Calderwood, the CEO of the National Golf Course Owners Association and chair of NAGA, said one of the main objectives of the day was based on how many people the organization got to meet with, and he said they ended up exceeded that number. 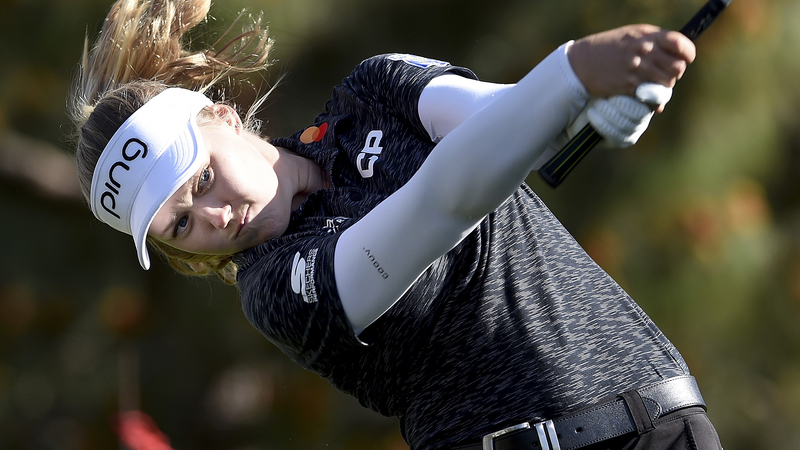 Calderwood said a key message would be around how golf is a vital industry in almost every community in Canada. Well north of 75 percent of all communities (or ‘ridings,’ in political vernacular) have a golf course – save for downtown ridings like Toronto Centre or Ottawa Centre, for example – and even the ones that don’t are only 10 minutes away from the nearest course, said Calderwood. This past election was a first for Calderwood, he said, as more than 200 MPs that came into the legislature were first-timers. He admitted Tuesday that with the next election only 18 months away, there would be a lot of education for the new MPs on the golf industry – its economic benefits, its environmental benefits, and more. Unlike Calderwood, this was Applebaum’s first time on Parliament Hill lobbying on behalf of the golf industry. He said the day was a positive one, and he was impressed to see how many rookie MPs play golf, along with their families. Specifically he was happy to hear from MP Roger Cuzner from Cape Breton-Canso, who has seen millions of tourism dollars flood the island thanks to the worldwide success of Cabot Links, Cabot Cliffs, and Highlands Links. 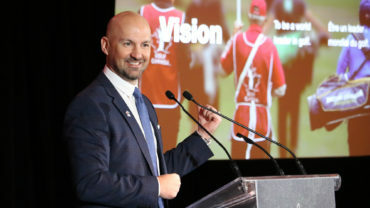 Getting the message out about golf’s positives was key, said Applebaum, speaking specifically to its impact on Canada’s GDP ($15 billion) and employment (more than 300,000 across the country). While in past years NAGA was on Parliament Hill lobbying for tax fairness for the golf industry – to allow people to claim a round of golf on their taxes in terms of entertainment as a bonafide business expense – that wasn’t on the agenda Tuesday. “We’re not here for an ask. We’re just here to let the MPs know how active their constituents are with golf, and down the road we’ll address the tax issue,” he explained. Moving forward, Applebaum is hopeful that National Golf Day results in more awareness, and maybe even days off for people to go play golf. But he would say the first iteration was a success.